The Gratitude of Kings is a small novella in the fairytale style by fantasy and sci-fi matron Marion Zimmer Bradley . In The Gratitude of Kings we once again meet Lythande, a centuries-old magician who disguises herself as a boy and is on her way to perform illusory magic at King Tashgan's wedding. When Lythande arrives, she discovers magic has already been cast upon the wedding party unbeknownst to the participants. With help from an old friend Eirthe, Lythande must put a stop to the evil black magic before it ruins the kingdom. I love The Gratitude of Kings because it is classic in the way of traditional fairytales with good overcoming evil. MZB does not get carried away with crazy hard-to-pronounce fantasy names, make-believe politics, or complex creatures; she keeps it simple, which is very appealing to and attracts all varieties of readers. It's no mystery why Marion Zimmer Bradley has always been successful in the fantasy genre. 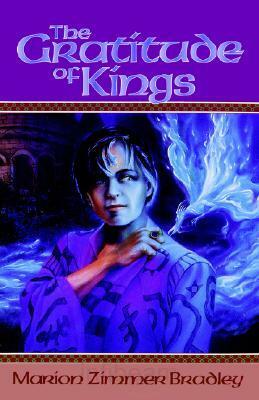 Although you may not have read Lythande (1986), don't worry because you'll enjoy The Gratitude of Kings regardless, and may even inspire you to add Lythande to your wish list! It's definitely going on my own list! My favorite books so far by Marion Zimmer Bradley in addition to The Gratitude of Kings are the "Light" series, including Ghostlight (1995), Witchlight (1996), Gravelight (1997) and Heartlight (1998).